Is There A Property Black Friday? This Friday will once again see the USA phenomenon of Black Friday hit our stores with many already pre-empting the day with Black Friday deals all this week. Black Friday is an informal name for the day following Thanksgiving in America (the fourth Thursday of November), which has been regarded as the beginning of the country’s Christmas shopping period since 1952. Most major retailers open very early (and more recently during overnight hours) and offer promotional sales. The concept sneaked into our stores within the past decade and, despite Thanksgiving not being a “thing” in the UK, it now seems to be a fixture here too. So now that we have Black Friday for retailers in the UK…is there a Black Friday for property? Whilst we’re not talking about a specific day, can timing help you buy property on the cheap? According to data from estate agent Haart out this week alongside yet another report pointing to a nationwide property slowdown First Time Buyers could be quid’s in as summer prices cool. According to the report it pays to hold your nerve, especially if you’re a first-time buyer who managed to snap up a property deal in August as prices dropped by 10 per cent in a month. All of this begs one question. Can you time your way to a property deal? Smith isn’t the only person who thinks now is a good time for a first-time leap. 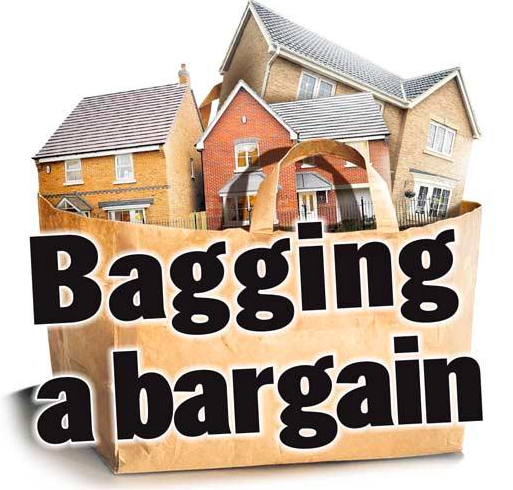 “First-time buyers of course are perhaps the best placed to eye the market closely and be able to detect the right pricing and time to make a move,” notes David Hollingworth, director at L&C Mortgages. “A slowing in the buy-to-let market has no doubt eased the competition for first-time buyers, which may have helped them negotiate on those properties that are available.” No one wants to go house hunting while they’re shopping for Christmas and fewer potential buyers want the upheaval of a December move. Meanwhile, while this summer has been slowed by everything from economic fears to wage-growth freezes, in general, viewing homes is far more attractive a prospect in warm sunshine than it is in freezing rain. So if there are specific times of the year that offer better value for money for purchasers We asked the Indigo Square Property Director for his thoughts on whether we finally have some good news in the housing market for First Time Buyers. So according to the experts it seems that everything relating to the housing market must be set in the context of the wider market conditions. Despite the efforts of some agents over the last 10 years to kick-start price movement with property “Sales” there is no specific Black Friday for property. In general, through good times and bad, there are the natural cyclical periods in the property market that is mainly dictated by the age-old concept of supply and demand. With new buyers strongest as the sun comes back out around Easter, good times to sell are Spring and early autumn and as buyers retreat back to the comfort of the living room and demand reduces slightly good times to buy are winter and mid summer.